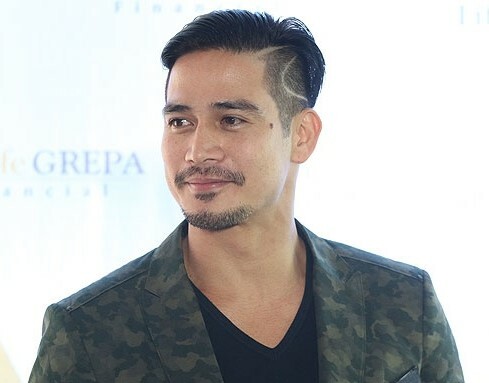 ALL OF A SUDDEN, there’s so much publicity about Piolo Pascual. This is because writers were allowed to interview him more intimately during the presscon for his movie with Regal, “Once in a Lifetime”. With ABS-CBN, like in his movie with Dawn Zulueta, writers are allowed to interview Piolo is just during the Q&A while all stars are on stage, so there’s no chance to interview him more closely. At Regal, he was able to answer and clear many issues concerning him, like his being annoyed by the bashing from the fans of the LizQuen love team, his “ang pikon, talo” attitude to those who infer something malicious in his photos with his son Inigo, his decision not to do teleseryes anymore but he’ll do one with Toni Gonzaga as he has previously promised to her that they'll do it after she gives birth. And mind you, Piolo is one of our most articulate stars so it’s really nice to interview him.